The new super automatic espresso machine of Gaggia. Just with a press of a button, in a few seconds you will have a coffee as good as a bar espresso. The new super automatic espresso machine of Gaggia. Just with a press of a button, in a few seconds you will have a coffee as good as a bar espresso. A "tailor made" coffee beacuse you choose the grind, shot length and boby according to your taste. This Super-Automatic machine offers an abundance of indulgent options to customize your beverage to your taste. You can easily personalize and memorize length, strength and temperature for each drink. Feel free to explore, experiment and dream up any drink! 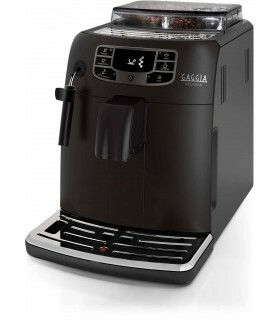 Velasca is equipped with a robust 100% ceramic grinder that guarantees a moment of pure coffee indulgence for years to come. The ceramic material creates the ideal grind, which allows the water to flow through steadily, extracting the purest essence of the beans. And unlike other 'regular' grinders', the ceramic material prevents the coffee from overheating and tasting burnt. Enjoy a wide variety of drinks to suit any occasion. Whether you crave for an espresso, a cofffee or a milk based recipe, your Super-automatic machine delivers a perfect in-cup result with no hassle and in no time! 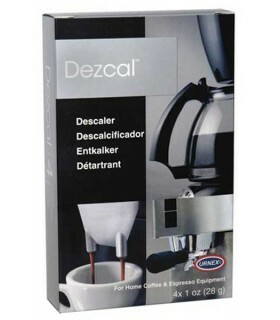 This espresso machine automatically cleans its coffee circuit with water upon starting up or switching off of the machine, this delivers a great, fresh taste with each cup of coffee.Regular descaling prolongs your espresso machine’s life. This machine will prompt when descaling is needed. It will guide you with on-screen messages what you have to do and when. The Quick heat boiler ensures a hot coffee and cappuccino for you family from the first cup, in no time. The secret is in its light aluminum and stainless steel body, which can reach hot temperatures fast. Every minute detail of this machine was designed and crafted to the highest quality. The stainless steel finishing, inspired by Italian design and craftsmanship will stand the test of time in any classic or modern kitchen. An elegant vision of pure design, your machine will look as refined as the coffee it makes. The unique one-touch carafe quick clean allows you to thoroughly rinse the milk system at your convenience after every use. Enjoy super creamy cappuccino at the perfect temperature, in the easiest way possible. Simply pour milk into the carafe, plug it into the machine, and select your preferred beverage. Whether it's a cappuccino or frothed milk, your drink will be served within seconds, with a splash-free flow at the ideal temperature. Every coffee you prepare will be topped with a silky, milk layer that beckons the taste buds. The milk carafe froths the milk twice, then pours a splash free creamy layer into your cup at just the right temperature. 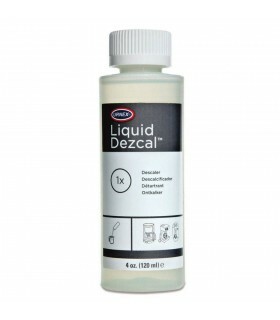 The carafe can also be stored conveniently in the fridge and it is incredibly hygienic. Store the length of any coffee and milk beverage according to your personal taste. 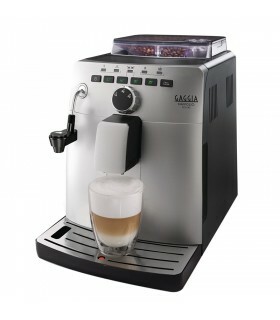 You will be able to drink espresso, coffee and all other beverages always as you prefer, at the touch of a button. Your super-automatic espresso machine is effortless to use thanks to the frontal loading of the water tank and the dump box.